Carina is a very experienced Occupational Therapist and is highly qualified to provide specialist assessment and intervention for children, youth and adults with psychosocial, mental health, developmental and academic difficulties. Carina has a Bachelor’s Degree in Occupational Therapy and a Doctorate in Psychology and Counselling. 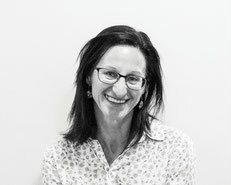 In addition to private practice work, Carina works in senior positions across public and private child and adult services, and worked at the University of Queensland providing clinical teaching. Carina is a registered Occupational Therapist with the Australian Health Practitioner Regulation Agency, and is a member of Occupational Therapy Australia. Carina is registered to provide services under the Federal Government’s Better Access to Mental Health, Chronic diseases, Helping children with Autism initiatives. The nervous system, neurosciences and self regulation skills (self- regulation is the ability to modify arousal levels and to make emotional adjustments necessary to stay in control of challenging situations and to functioning in life roles and relationships). Young people having unusual or odd thoughts and/or experiences that cause distress. Carina is highly skilled and passionate about helping children, young people, families and adults reach their potential. Therapy is focused on enabling children, youth and families to live satisfying and meaningful lives, regaining a sense of achievement, self-esteem and well-being that may have been affected by acute and life events. Carina addresses emotional and behavioural needs as they relate to everyday activities and social interaction. Carina can help to develop the ability to cope with challenges, calm down when frustrated or stressed, defuse anger and manage impulses in order to succeed at individual tasks and collaborative interactions at home, school, work and in the community. Services offered include individual child, adult and parent therapy. These therapy sessions (50 min duration) are usually in the clinic, but school and home visits can be arranged. Initial and/ or specific developmental assessments are usually completed in one longer session or over two sessions and vary in duration depending on the age of the child and concerns. Parent and teacher programs and workshops are also offered. Handwriting is a very complex process that draws on many different skills. If a child is having difficulties with any of the skill areas required in handwriting, learning can become frustrating, tiring and stressful. An occupational therapist can assist with handwriting, reading and other school skills to help make learning a more enjoyable experience for your child. Occupational therapists often work with children to help them develop self-regulation and executive functioning skills. By teaching children strategies to address these challenging areas, we empower them to become more independent and self-assured. When children and young people experience anxiety, they find participation in usual activities very difficult. An OT works with children and young people to help them develop the ability to understand the physiological sensation of anxiety, understand and process the triggers for the anxiety and to help develop the ability to self-regulate when overwhelmed. Problems/difficulties with sensory processing can impact on learning, social relationships, behavioural responses, self-esteem and daily skills. Children with sensory processing disorders may demonstrate difficulties processing information through any of their sensory systems.